Couples looking for romance can find it in Grenada. Even though the island is just 21 miles long and 12 miles wide, it’s packed full of things to do. Whether you’re on your first holiday together, a honeymoon or anniversary celebratory break, you’ll find something here that can be the backdrop for quality time together. You’ll come away feeling refreshed and with a new set of some fantastic memories. 1. Let’s start with picture perfect Sandy Island. Find your own paradise when you visit this classic Caribbean island with a picnic for two. 2. 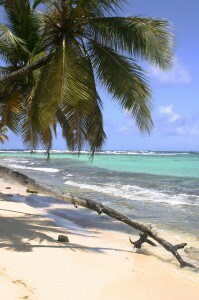 Take a private tour of Grenada with your own personal itinerary with our own tour guide, Ritchie. He will drive you whilst you hold hands in the back and drink in the tropical air of the Spice Isle. 3. Located just 2 miles from Grenville, Royal Mount Carmel Waterfalls are really quite spectacular. The highest waterfalls on the island are at the end of short walk through a private plantation that grows local fruits and spices. Also known as the Marquis falls. 4. Enjoy a dinner for two on your own verandah at Petite Anse Hotel. Your waiter will recommend a bottle of wine to suit your menu choice. You’ll be able to hold hands as you watch the reflection of the moon on the Caribbean Sea together. 5. Take the Lobster Cruise (from Sunsation Tours) together. You’ll sail up the west coast on a catamaran, stop off for snorkeling, a lobster lunch (alternatives available) and enjoy time on stunning Hog Island. 6. Pack a picnic for two and take a hike to the local beach. You may even come across your own little adventure on the way. Perfect for building those all-important romantic memories of your relationship. work on your own route and itinerary, or you may want to take one of the set tours to the Annandale Falls or around South Grenada. 8. Go Mona monkey spotting in the national park. Take a guide and you’ll see the best of the unique rainforest wildlife and the sweeping vistas from the height of the Grand Etang National Park. 9. Tie the knot. 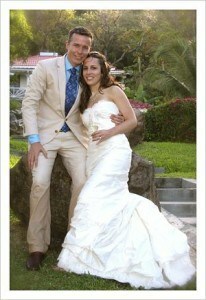 You don’t need to spend a lot of time preparing to get married in Grenada. You can arrange most of it within just a few days. Even if you don’t get married this time around, it’s a lovely place to pop the question. You’ll be able to return next year for the marriage. 10. Watch the leather-back turtles. We can arrange for you to go on a moonlit tour of the local leather-back turtle nesting beach. You’ll watch this highly impressive huge creatures walk up the beach, nest and lay eggs for the next generation. You’ll be left with an amazing tale to tell together from this jaw dropping experience. 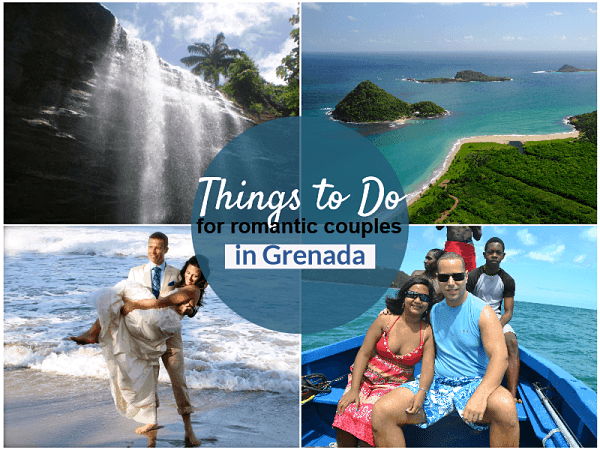 There are so many different romantic things to do in Grenada that you won’t be stuck for choice. We’ve drafted this list for you, but you’ll find your own adventures and experiences for two when you come. One thing we can guarantee, is that Grenada does make an amazing backdrop for romance, and we’re really quite certain that you’ll find it here.